Desiderii Marginis has been one of the leading names in the dark ambient genre for the last two decades. In 1997 their debut release, Songs Over Ruins, took listeners deeper into a territory which had been recently traversed by raison d’être. A style which included a serene, yet troubling, combination of industrial field recordings, choir/chant vocals and various ritual instruments including bells. This combination of sounds gave listeners a different idea of how to look at religious works through dark ambient. Where previous artists like Ain Soph, Zos Kia and Korpses Katatonik often included ritual elements like bells and bone-instruments, particularly Desiderii Marginis and raison d’être took this concept into a new and more refined direction. Early albums like Songs Over Ruins and Deadbeat held this sort of ‘sacral ambient’ focus, but by the mid 2000’s Desiderii Marginis was delving into different sorts of soundscapes. My two personal favorites, That Which Is Tragic And Timeless and Seven Sorrows, were fully incorporating the use of guitar (often acoustic) as one of the main elements of the project. The sacral fell to the wayside, with a focus more on sadness and isolation. Procession and Hypnosis seemed to be a nice blend of the original sacral style combined with the newer depressive guitar works. Vita Arkivet is a return to that original sacral style, which Desiderii Marginis initially became so well known for using. The opening track “Capsule” is quintessential Desiderii Marginis, the industrially tinged drones sweep across a sort of quasi-religious, post-apocalyptic soundscape. Following the logic of the album’s theme, this track could be a sort of ‘time capsule’ into the history of this musician. We get a feeling of his previous works returning to the surface. “The Scattering” and “Passing Bell” are reasonably relaxing tracks, which unfold into more complex works as they progress. “Vertigo” has a darker feel to it, there is a greater sense of death and the confusion that might arise during it’s onset. “Eulogy” starts with the chiming of a bell or singing bowl. It seems to indicate the beginning of something more ritualistic and less personal than the previous tracks. This track is also quite peaceful, but maintains some of that darker vibe from “Vertigo”. I get the sense here that this could be the artist’s preferred actual eulogy. A marking of the end of a life which is filled with equal parts light and darkness. A life concerned with the encroaching industrialized world upon nature. A call for peace, understanding and serenity in a confusing and destructive world. 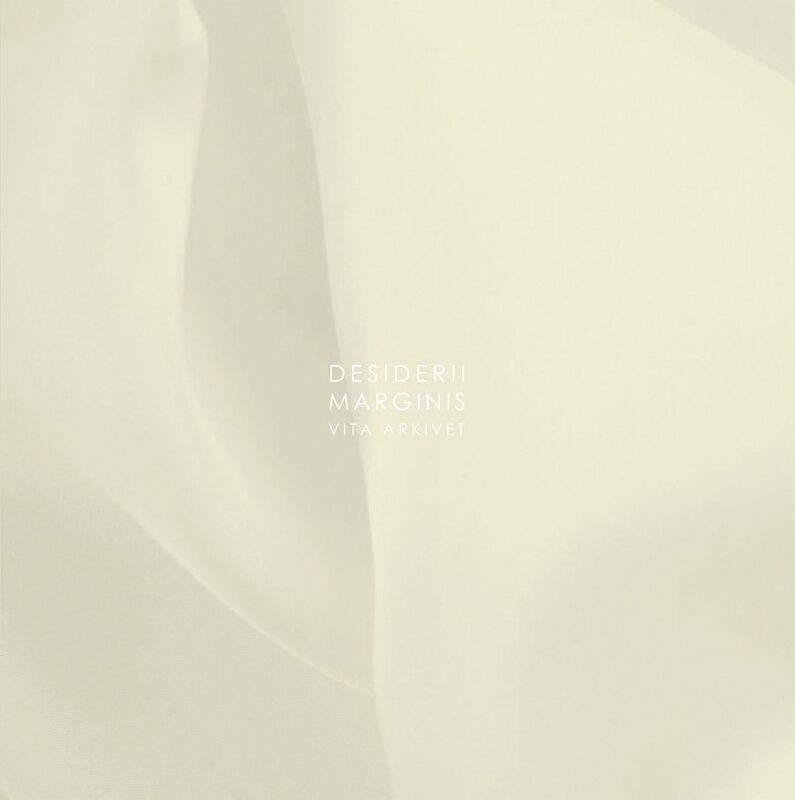 Desiderii Marginis quietly unveiled this album digitally on their Bandcamp page a few months before the official release. Cyclic Law later would give the album its proper launch. There is a CD version as well as two vinyl variants, black or clear-and-black splatter. 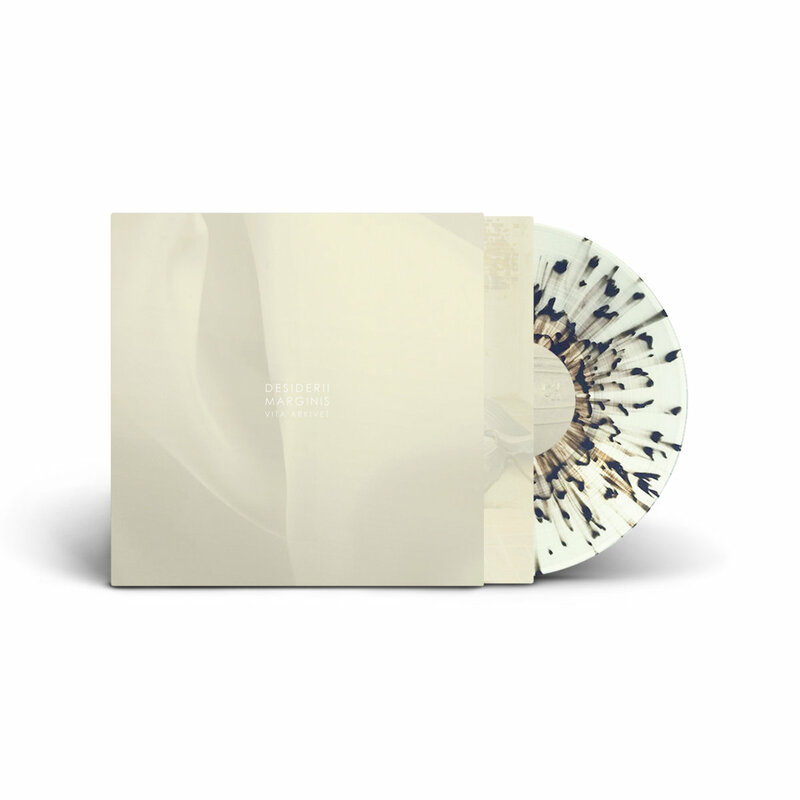 I have a copy of the clear/black splatter and it is gorgeous, I highly recommend getting ahold of one of them before that 100 copy edition is sold-out. I was quickly impressed with Vita Arkivet, it encompasses all the things I love about the entire discography of Desiderii Marginis’ works. Sometimes when an artist has been in the business two decades and they release something like a “Eulogy” album, I get scared thinking this might be their ‘swan-song and departure’. I hope that isn’t the case here, Desiderii Marginis hasn’t become one of the most well known and highly respected artists in the dark ambient genre for nothing. They have decades worth of fantastic releases and live performances to keep followers quite content, but I’m sure there will be plenty more fantastic soundscapes for this artist to visit in the future. As usual with Desiderii Marginis works, I consider Vita Arkivet to be a must-have for dark ambient listeners. This is a well-honed release by a veteran of the genre. The fact that Frederic Arbour of Cyclic Law decided to give the album a 2-variant vinyl release is a testament to the trust and esteem the community has for this artist. If you haven’t previously browsed their works, I highly recommend you start now with Vita Arkivet and then work your way backward through the hours and hours of wonderful music Desiderii Marginis has shared with us over the years.